Grocery, Manufacturing, Retail, Parcel Post, Transportation and Logistics. C3 Solutions unique products allow customers to maximize the usage of their trailers, dock doors, dedicated yard staff, and physical yard space. C3 has gained the confidence of clients around the world and across many industries including retail, grocery, distribution, manufacturing, parcel post, and frac sand. 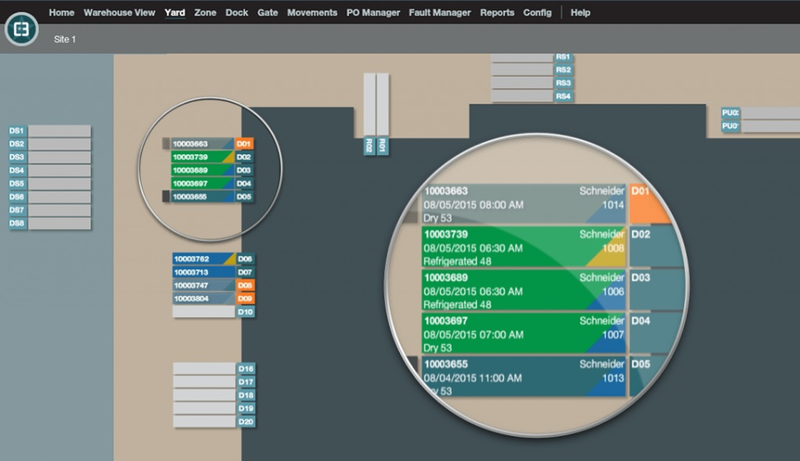 C3 Yard is a web-based yard management system (YMS) that provides visibility on yard assets, optimizing the flow of trailers from gate to gate and automating yard driver task assignment.